You’re new to freelance writing. And guess what? The one thing you are worried about is whether or not a freelance writing job is a scam or is really legitimate. How do you know whether or not a freelance writing job on a job board is legit and is really a good project to land? I’ve been freelance writing for a while, and in that time I’ve come around potential jobs that scream scam or not worth it for me. I’m all about easy gigs that are recurring, and I get paid for my valuable writing. I work with small businesses and native digital brands – but in the beginning that wasn’t the case. These gigs were mostly found on different job boards or through inbound leads (contacting me for my services). Some of those gigs I still write for or am in contact with the owners. But, don’t get me wrong – I didn’t just apply to any freelance job I saw. I looked for red flags that told me this gig could be a potential scam, not pay for my writing or just wasn’t legitimate. 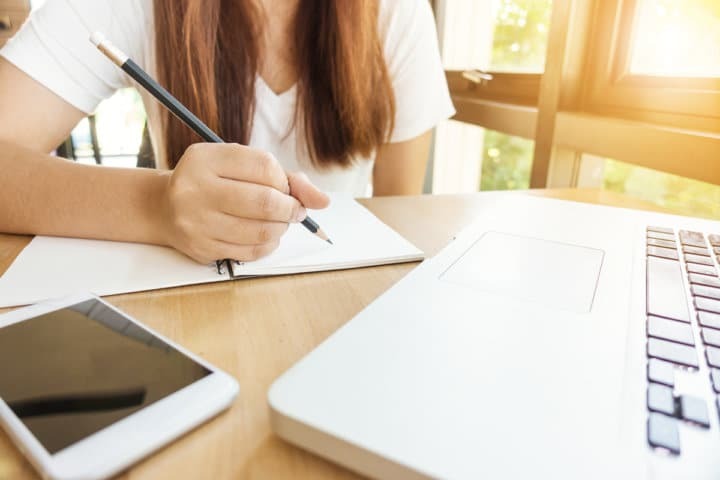 And, while I go more into this in my freelance writing course, let’s go into the overview of what to look out for when finding a freelance writing job. Now look – I’m all for writing for free. But, if you are searching a job board and the job description says they want a unique sample from you (and doesn’t mention that it’s a paid sample) – don’t apply to that gig. 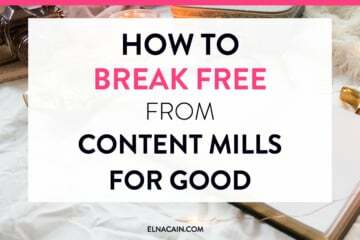 This company or website is looking for free content, especially if the job reads almost like a content mill – is seeking bulk content for very little pay. I skip over these gigs for sure! Now, wouldn’t you love it if you can whip out content as fast and as deep-level as Neil Patel? Can I tell you a secret? I’m pretty sure Neil has content writers that help him as he has multiple blogs and creates a blog post every day for all his blogs (he also has blogs in different languages too). If you are unfamiliar with Neil Patel, check out this blog and look at the quality of writing that is pumped out. So when small business and marketers see his blogs, they automatically think that’s the content for them (without looking at their own audience). And when they post a job ad for a freelance writer, they expect you to write this type of content. But, pay you very little for that content. I write digital marketing content that can be up to 5k words that is deep level and industry specific. My rate for that starts at $200 per 500 words. This type of content takes me days to research write and perfect. I value my time and I hope the businesses I collaborate value my writing as well. But, if I see a job ad with “Neil Patel” in the ad, I don’t look at the gig anymore. This business has high expectations and may not value my worth as a writer. So leave those gigs alone, please! A potential red flag for a freelance writing job ad is if the brand has no online presence. 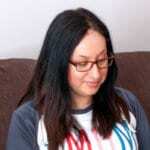 I am an online writer, and I need to get a feel for the brand or business to see if I’m a good fit for them. If they are secretive about that (or a brand new startup), this company won’t pay you what you are worth. They are looking for cheap content in bulk to launch their business with. Of course, I can be wrong. There are good quality businesses that don’t have an online presence, but if you contact them and ask them more about their business, you can get a feel if they are authentic and legitimate. But, generally, if they don’t have a LinkedIn profile or Twitter profile and no Facebook page or business site, then don’t apply to this gig either! I would be okay with a low-paying gig if the content project is small. For example, 300-500 words or 30-minute tasks that I can whip out fast. 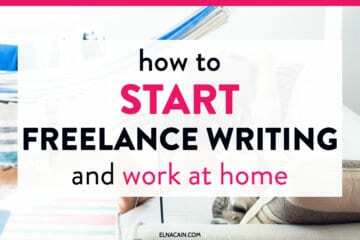 But, if this project will take you hours or days, you can optimize that time much better with daily freelance writing tasks instead. So, pay attention to how much content they seek, the type of content they seek and the pay. Now, what happens if the freelance writing job ad doesn’t specify a rate? In that case, it’s a risk to take. Submit your freelance writing pitch and if they reply asking for your rate, give your top rate. It’s no loss to you if they don’t hire you, but if they do, then that’s your ideal gig right there! Online business owners know they aren’t the best writers, so they hire out writing. But, sometimes you just get a feeling that if a job ad is poorly written, this client may not have the budget. They may seek out “Neil Patel” writing, but from the poor grammar, I bet they aren’t willing to pay top dollar for it. It’s something to consider, but it may not even be a correlation. For example, if I get inquiries with poor grammar, most likely the gig isn’t low paying or low quality. The fact that they sought me out and emailed me asking for my services is a good indication that they understand the value of content I create. This is similar to a job ad about a business with no online presence. If the job ad is short, doesn’t specify the project or frequency of content, then I wouldn’t apply to that job ad. 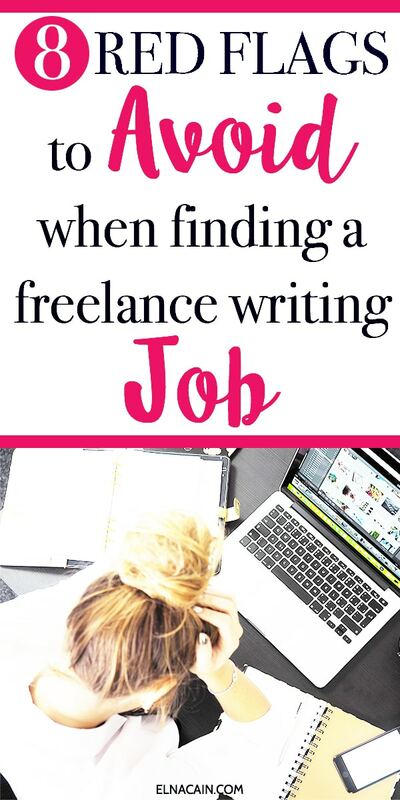 This business may not really need a writer and are just getting their feelers out to see what’s out there and if there is a cheap freelance writer they can pick up. To me, this job ad doesn’t scream quality at all. Again, there’s a right way to write for free and a wrong way. And, this way – getting paid for this type of exposure – is the wrong way. It means that you will only get paid if your content gets X number of shares or X number of pageviews. While this isn’t bad when you guest post (since you are writing for free), I wouldn’t do this project as an actual freelance writing job. You can’t live on exposure! Skype is a great way to get to know a potential client, but if a job ad asks for a Skype interview, I’d be hesitant. This can be a red flag. I had one the other day that’s supposedly common where you add someone on Skype, and they send you “guidelines” to download, but the guidelines are a virus. I would have been sunk if I didn’t have a Mac. Personally, I have never done many Skype calls with potential clients. I have, though, done Skype calls with my freelance writing clients. So, this is something to pay attention to. Freelance writing has a ton of potential. There are more great things about it than negative things. 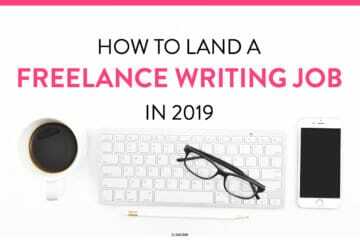 For me, I hustled in the beginning, but the goal for freelance writers is to have the jobs come to them. 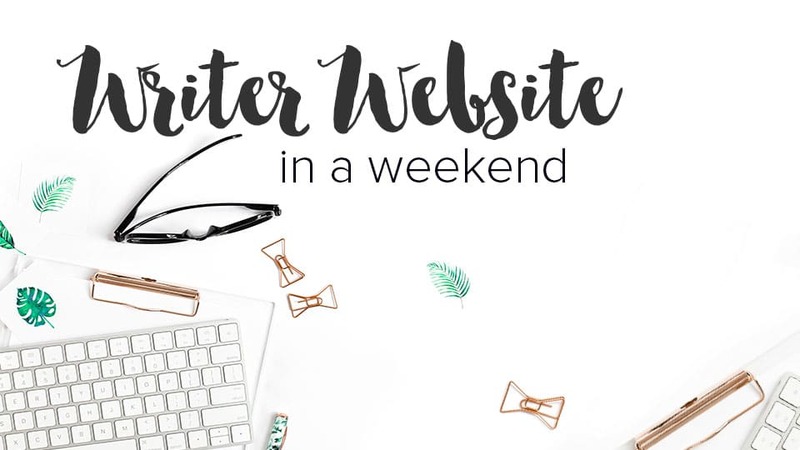 Get that writer platform optimized with your writer website, social media presence and portfolio to attract the right jobs for you! You with me? 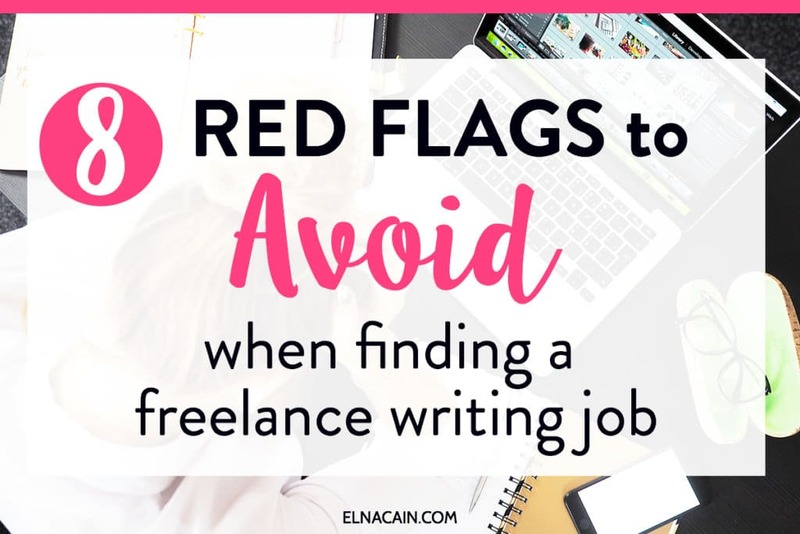 Let me know in the comments other red flags you’ve come across when finding a freelance writing job! What’s the difference between “potential clients” and “freelance writing clients”? Or does it matter? I just want to make sure I am on alert! Thanks for all your great advice! Skype is a great tool but some of my course students have had issues with using Skype so just be careful! As for my sentence, I’m sorry that’s confusing. What I mean is the clients that pay me already sometimes want to jump on a Skype call to talk more about the content plan. I do this and I’m fine with doing that. But I haven’t had much experience with Skype calls during the acquisition of picking up a new potential client. So if I respond to a job ad and then that person emails me and asks for a Skype, this scenario hasn’t happened to me…yet! But I would be hesitant to do this and would probably say I’m more than happy to answer any questions via email. You are so right on not taking on a client with a vague or nonexistent online presence. I made that mistake once. Lesson learned! Yeah, for new writers though this may not be something they are knowledgeable about only because they themselves don’t have an online presence! Glad you learned your lesson! Personally, I’ve had #7 quite a bit. The job ad was on AngelList and I applied because they had the yearly amount you’d make in the budget area and it was pretty good. They then told me when they expressed interest that they’d pay me $30 USD as a base amount and then pay me on commission. They told me the commission part after I already turned it down due to them only wanting to pay me a FRACTION of my normal rate. I think they used the commission line to reel me back in. Either way, I turned it down. Thank you for these warnings, Elna! That’s too bad! I’m glad you saw the warning and decided to not take them on as a client. Your writing is too valuable to base pay on exposure or a only if scenario! Good for you!